"Mr X has a lack of vitamin C and contracts a cold. The cold leads to pneumonia. Mr X dies and his body is taken to the mortuary…not with the diagnosis "lack of vitamin C", but with the diagnosis "pneumonia". This does not matter for him any more, but matters for the rest of mankind, which is mislead in its thinking and judgement about vitamins." 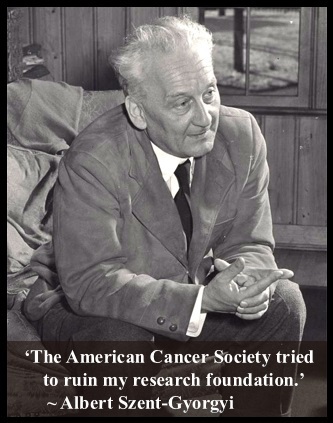 ---Dr Albert Szent-Gyorgyi, nobel prize winner for discovering Ascorbate. "The American Cancer Society tried to ruin my research foundation." 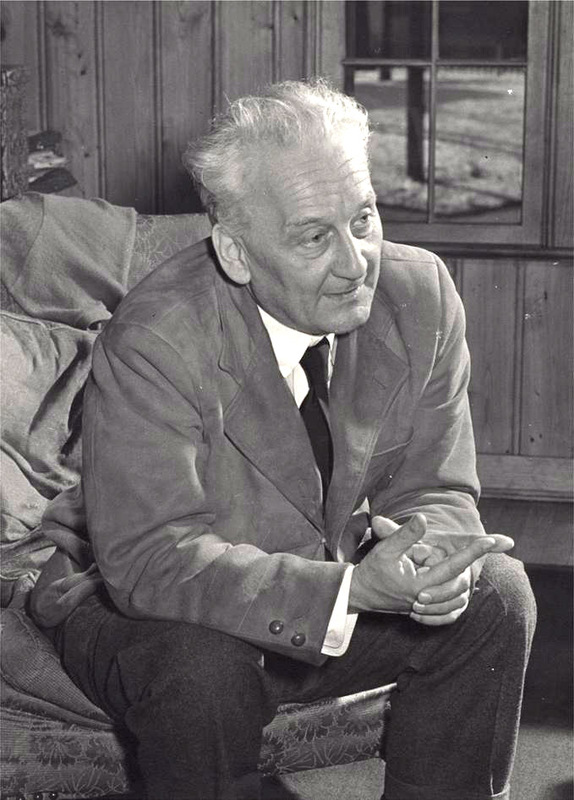 -Albert Szent-Gyorgyi, discoverer of vitamins C and P, 1937 Nobel Prize ," for his discoveries in connection with the biological combustion process, with special reference to Vitamin C and the catalysis of fumaric acid. ".